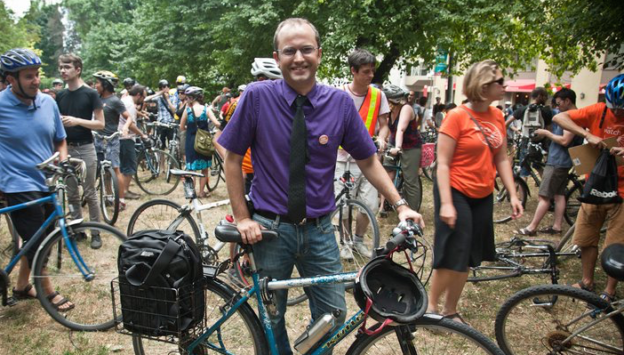 Toronto City Councillor Mike Layton announced his plans to bring forward a motion to the council of Canada’s largest city this week asking for a report on the long term cost implications of climate change on the City of Toronto’s infrastructure and programs and any legal avenues to pursue compensation for those costs from major greenhouse gas emitters. 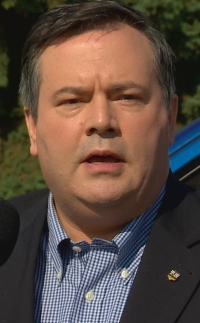 On the campaign trail in Alberta, NDP leader Rachel Notley and United Conservative Party leader Jason Kenney delivered sharp responses in defence of Alberta’s oil industry. 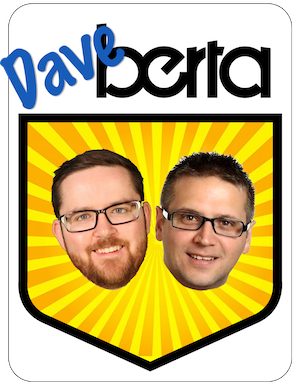 Both leaders are trying to position themselves as the biggest defenders of the oil industry in an election where the economy and oil pipelines are top of mind for many Albertans. Notley has spent the past four years positioning herself as the country’s biggest advocate in favour of oil pipelines and Kenney recently announced plans to create a government-funded PR war room to fight foreign criticism of behalf of the oil industry (I suspect Toronto now falls in the “foreign” category). Layton’s motion has not even been debated yet and has been sent to committee, but it is part of a growing trend of North American municipal governments trying to hold large oil and gas companies to account for their role in global climate change. New York City Mayor Bill de Blasio announced in 2018 that his City had filed a lawsuit against five of the world’s largest investor-owned fossil fuel companies – BP, Chevron, ConocoPhillips, Exxon Mobil, and Royal Dutch Shell – for the billions of dollars the City will spend to protect the city and its residents from the impact of climate change. Similar lawsuits have been launched by other American municipal governments, including San Francisco, Oakland, and Richmond. For municipal governments suing oil and gas companies, the fight is over who is responsible for covering the cost of damages resulting from rising average temperatures – a particularly sensitive issue for Canadian cities located near large bodies of water like Victoria, Vancouver and Toronto. I am not a lawyer, so I cannot say for sure whether the same legal avenues are available to Canadian municipalities, it is clear that attitudes towards fossil fuels are changing in city halls across the country in respect to climate change. With an increasing number of provincial governments reneging on previous climate change initiatives, it is also becoming clearer that municipal councils cannot wait for provincial legislatures to find solutions. Victoria City Council passed a resolution in January 2019 to support filing a class-action lawsuit against fossil fuel companies “to recover costs arising from climate change.” Burnaby’s new Mayor Mike Hurley has asked the BC government to create legislation to allow municipal governments to launch and join class-action lawsuits against fossil fuel companies for climate-related harms. But in Alberta, with pipelines and Gay-Straight Alliances making headlines, climate change is a sleeper issue in the ongoing election campaign even as the World Meteorological Organization is reporting that extreme weather last year impacted 62 million people worldwide and forced 2 million people to relocate. 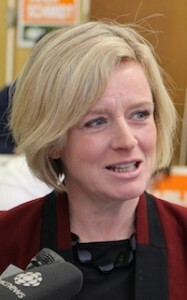 The Notley government implemented a much-lauded Climate Leadership Plan after it was elected into office in 2015, which included an ambitious plan to shut down Alberta’s dirty coal-fired power plants. But three years later, the most talked about element of Alberta’s climate change plan is the much-demonized carbon tax. Kenney says a UCP government would repeal the carbon tax and dissolve Energy Efficiency Alberta, the government agency responsibly for renewable energy projects and energy efficiency programs, but he has not released any details about if he would take any meaningful action to combat climate change. I expect that most or all of the Climate Leadership Plan would be scrapped under Kenney’s leadership, opening the province to more “foreign” criticism and making its large oil and gas industry into a more convincing target for political and legal challenges. I already mentioned that attitudes towards oil and gas are changing, but so will demand for our oil, eventually. The challenge for future Alberta governments is how to meaningfully deal with climate change while recognizing that the goose that laid the golden egg could one day soon be barren. Alberta’s default has been to pray that the international price of oil will bounce back someday soon, creating plenty of jobs and replenishing government coffers. Layton’s proposal, like similar actions pursued by the American cities, is to treat fossil fuel companies like tobacco companies who knew their products caused cancer but hid that information from the public. Like the tobacco companies, major oil companies have known for decades that they have been contributing to climate change and have been accused of spending $1 billion undermining climate change efforts. Layton’s motion may just be a little bump on Alberta’s campaign trail, but it could be a sample of a much larger climate change fight coming in the years ahead. This entry was posted in Alberta Politics and tagged Alberta Dirty Coal, Alberta Election 2019, Alberta NDP, BP, Burnaby, Chevron, Climate Change, Climate Leadership Plan, Coal-fired power plants, ConocoPhillips, Exxon Mobil, Jason Kenney, Mike Hurley, Mike Layton, Rachel Notley, Royal Dutch Shell, United Conservative Party, Vancouver, Victoria, World Meteorological Organization on March 29, 2019 by Dave Cournoyer.